The new ContiPressureCheck system constantly measures the pressure and temperature of all tyres on your vehicle - even when you are driving. This helps to save fuel and increase mileage. It also significantly reduces the risk of tyre failure, whilst maintaining the value of the casing, and thus the retreadability. Thanks to the new ContiPressureCheck system, you can now actively reduce operating costs while improving driver and vehicle safety. All sensors are mounted on the tyre inner liner inside a rubber housing and continuously measure the tyre pressure and temperature. 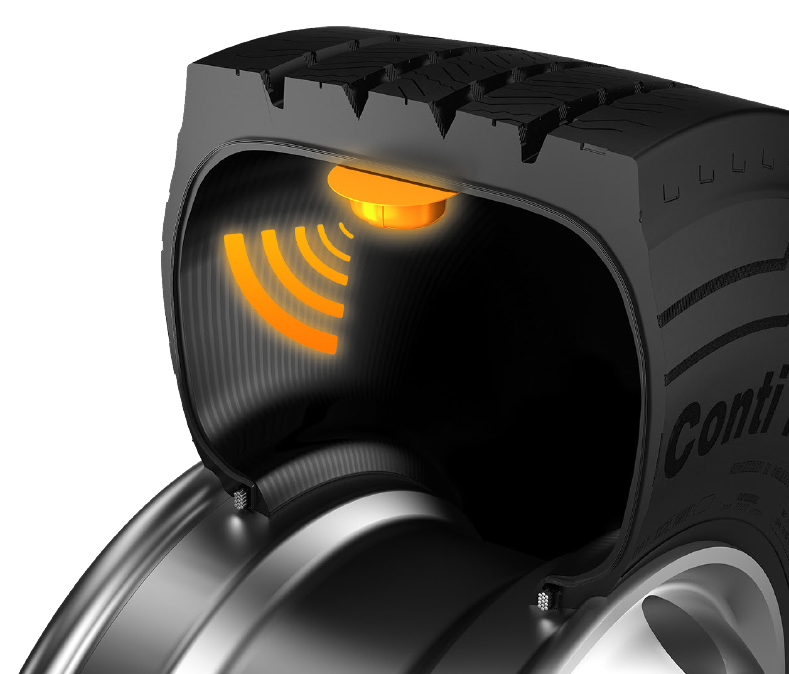 The CCU receives sensor signals directly or via the antenna, evaluates the data and provides the status of all tyres. Fixed inside the cab, the display shows the tyre pressures and warns the driver in the event of pressure loss. The ContiPressureCheck system can be easily integrated into your telematic systems. This gives you the ability to view live inflation pressure and temperature data, as well as to receive real-time alerts. The system covers almost all combinations of fitment, from single axle trailer to six axle vehicle configurations with a maximum of 24 tyres. It is suitable for tractors, trailers, tractor/trailer combinations, as well as buses and coaches.